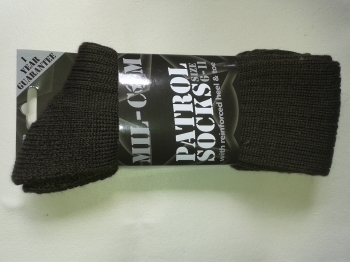 New tough hardwearing combat/patrol sock. 28% wool, 62% Acrylic, 10% Polyester with Reinforced Heel & Toe. Options missing from the dropdown list indicates a lack of stock. Please call back later.